FRIDAY, April 20, 2018 (HealthDay News) -- There are differences in the brains of athletes who play contact sports and those who play noncontact sports, according to researchers. But they added that it isn't clear if these differences are caused by blows to the head because the study only showed an association. The Indiana University investigators scanned the brains of 21 college football players, 19 college cross-country runners and 11 non-college-level athletes while they did a simple visual task. 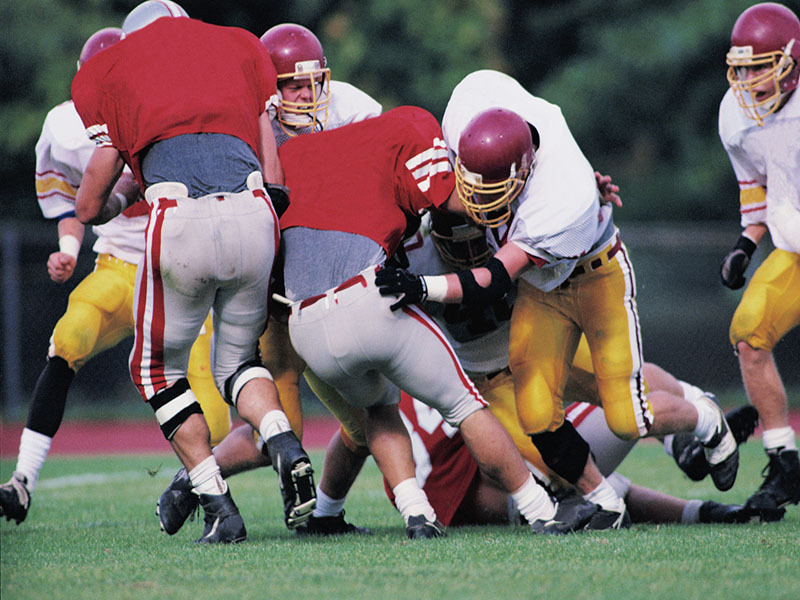 Compared to the cross-country runners and non-college athletes, the football players had much more activity in regions of the brain responsible for visual processing, according to the study. "We focused on these brain regions because physicians and trainers regularly encounter large deficits in players' ability to smoothly track a moving point with their eyes after suffering an acute concussion," senior author and concussion expert Nicholas Port said in a university news release. The findings are difficult to interpret, he added. "Everyone from musicians to taxi drivers has differences in brain activity related to their specific skills," Port said. "The differences in this study may reflect a lifetime exposure of subconcussive blows to the head, or they could simply be the result of playing a visually demanding sport where you're constantly using your hands and tracking the ball," he explained. The best way to learn the reasons for these differences would be a similar study involving only football players, according to Port. The study was published recently in the journal Neuroimage: Clinical.